For the first time–two best-selling authors write a natural health book and Kindle from the points of view of patient and caregiver. 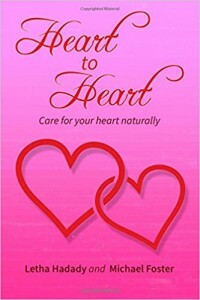 New York Review of Books: “A must read in every home.” Healing foods, herbs, and pleasing home treatments bring heart patient and caregiver closer in a loving home. 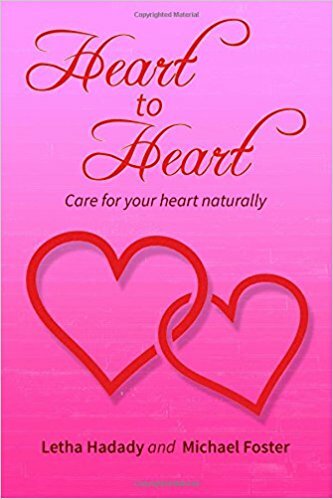 Heart to Heart features real time progress reports from the heart patient as well as natural health aids for the often neglected caregiver, including many live links to helpful, safe herbal products. Enjoyable foods, herbs, and body treatments from baths and massage to stem cells for chronic and acute pains, including headaches, backaches, teeth, carpal tunnel, joint, muscle and nerve pains, injuries from cuts and surgery to gunshot wounds, digestive problems, female issues, emotional trauma and sexual discomforts. 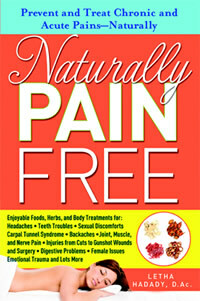 Enjoy a naturally pain free lifestyle. 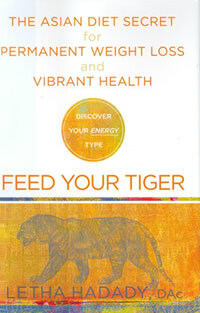 Feed Your Tiger is the first book to establish a connection between weight loss and energy type. Author Letha Hadady shows readers how to drop extra pounds through a combination of natural remedies and techniques that draw on both contemporary scientific research and traditional Chinese medicine. By completing a short questionnaire, readers determine their own energy type: Tiger, Bear, Dragon, or Crane. With this information, they learn how to choose healing foods for their energy type; how to tailor their eating plans to their individual cravings; and how to further support their weight-loss efforts with specific natural remedies including herbal and nutritional supplements, massage techniques, and stretches.The Energy-Type Diets from Feed Your Tiger were the subject of a controlled observational study, conducted at Beth Israel Medical Center in New York City. The findings confirmed that Hadady’s methods are as effective as they are unique. The book has recipes for the entire family–Dragons, Bears, Tigers, and Cranes. 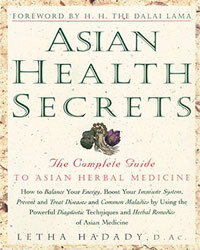 Asian Health Secrets is the first interactive guide to herbal medicine, presenting breakthrough guidelines for self-diagnoses that help readers understand how to evaluate their personal health needs and use readily available herbs to treat common maladies, boost the immune system, prevent illness, maintain wellness, and ensure longevity. The author, Letha Hadady, D.Ac., is a renown herbalist and nationally certified acupuncturist. The foreword to the book is written by H. H. the 14h Dali Lama of Tibet. 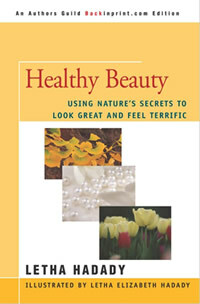 Healthy Beauty is “The first book of its kind . . . an international beauty recipe of tried-and-true home preparations blended with the most modern, technologically advanced products on the market today . . . truly a celebration of beauty in all its diversity. 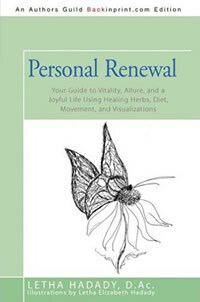 ” –From the Foreword by Clif deRaita, National Director of Makeup at Georgette Klinger, Inc. An updated Healthy Beauty paperback is now available at iUniverse.com and amazon.com!